A fan designed to meet the needs of Social Housing! Can be installed in a kitchen or bathroom. No filter required, so low maintenance, and comes with up to 7 years warranty. Quality guaranteed from the leading brand. A tile front does not mean poor airflow! Performing to design intent, residents will have a quiet, unobtrusive fan without a spinning impellor visible. The aesthetically pleasing tile front Revive will stay cleaner than open grilled alternatives. Drawing air into the fan, the clever bellmouth design feature allows air to enter the fan fluidly and silently. This feature improves efficiency and ensures residents are not disturbed by air noise. With an innovative fusion of axial and mixed flow technology, our design team have developed a high pressure impellor that is powerful and efficient, yet quiet, delivering on the unique needs of the social housing environment. Another sound reducing feature, the saw-tooth design on the impellors breaks up the sound spectrum, ensuring the resident is not disturbed by the fan and reducing the chances of tampering. The 8 chamber conical cylinder straightens the air to develop better pressure. The design also helps to repel dirt enabling the fan to be filterless, so landlords can install powerful fans with low maintenance requirements. The alpha numeric LED display on Revive can display a wide range of data. It is clear and easy to read meaning commissioning and data gathering becomes much easier. The intelligent Smart SenseTM technology can track the Wattage used by Revive and provides real time data via the intuitive interface. This means landlords can reassure residents of the low running costs. 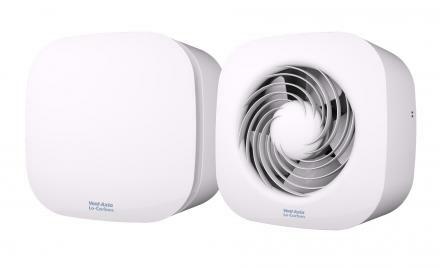 Track how many days the fan has been running for, giving you the peace of mind that the unit is being used as intended. 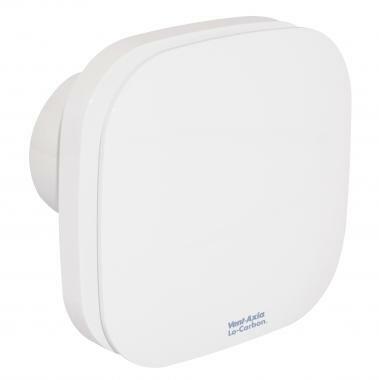 Vent-Axia’s ambient response humidity sensor avoids nuisance tripping and therefore increases resident acceptability while protecting the property from damaging condensation and mould. Using flexible Smart SenseTM technology, Revive can be commissioned to meet the needs of the property and with resident acceptability in mind. Quickly and easily select from a range of options, giving bespoke solutions where performance or noise is key. Using just 3 simple buttons, along with the LED display the intuitive menu makes it easy to commission Revive. Smart SenseTM technology even tells the LED display which orientation to use depending on whether it is wall or ceiling mounted. HTP continuous running fan with kitchen or bathroom setting, with a combination of trickle and boost speeds selectable from 9, 15, 30 and 60l/s. Day logger and power run meter as standard. 7 year warranty. Adjustable dynamic ambient response humidity sensor. Timer adjustable between 1 and 30 minutes. In built boost activated by pullcord, humidity sensor, switched live or remote button. Tile front for discreet installation. HTP continuous running fan with kitchen or bathroom setting, with a combination of trickle and boost speeds selectable from 9, 15, 30 and 60l/s. Day logger and power run meter as standard. 5 year warranty. Adjustable dynamic ambient response humidity sensor. Timer adjustable between 1 and 30 minutes. In built boost activated by pullcord, humidity sensor, switched live or remote button. Open front grille. HTP continuous running fan with kitchen or bathroom setting, with a combination of trickle and boost speeds selectable from 9, 15, 30 and 60l/s. 5 year warranty. Adjustable dynamic ambient response humidity sensor. Timer adjustable between 1 and 30 minutes. In built boost activated 25 by pullcord, humidity sensor, switched live or remote button. Open front grille.